Yes, that's the door of 3 Brothers Pizza! Unfortunately, we had to drive to Long Island last week. Don't get me started about the toll for the George Washington Bridge ($13!!!!). Plus the Throg's Neck...both ways....sheesh. 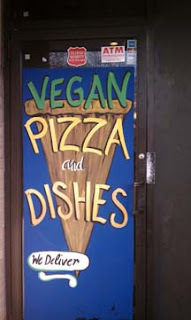 Anyway, I did some research to see what kind of vegan food was nearby and I found this place in Rockville Centre, NY (near Baldwin). 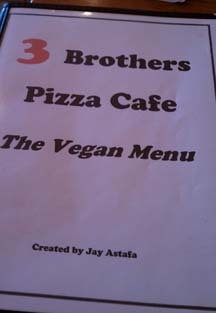 They have a whole vegan menu! 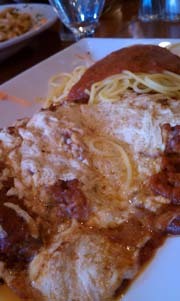 Tons of appetizers, entrees, pasta dishes, and pizza. Wow! We got there right when it opened, so they weren't completely ready yet (chairs still on the tables, etc.). It was nice inside and the waitress was very pleasant. I immediately ordered a soy cappuccino. So good! Overall, I'm really glad we went. We had a good time with friends, spent a couple of hours there....eating, drinking.....p.s. S had some vegan wine (I think it's actually called "The Vegan Wine"). If I were in the area (which to be honest, I hope I'm not)...I'll definitely stop in there again! 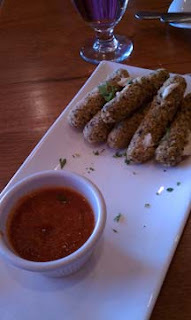 Mozzarella sticks please!! 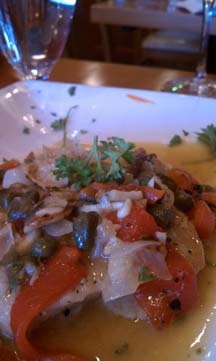 For pasta dishes, you have the option of getting whole wheat or gluten free, for a small extra fee. And I believe you can do the same for the pizzas. 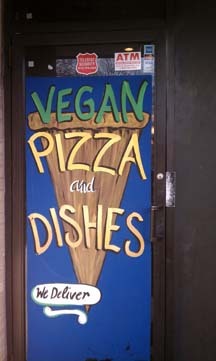 They have vegan cheese options too: Daiya or Teese! Thanks to those that entered the Zinio giveaway.....as it turns out, you are ALL winners! I will contact you to get your information. Please get back to me by Wednesday, January 23rd, so I can email Zinio by the deadline! I love lentil sprouts. 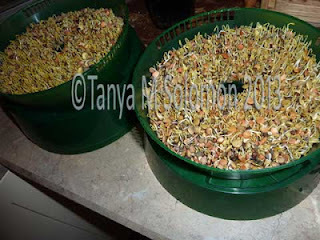 I recently ordered the Peasant Mix from SproutPeople (as well as the Moo Mix and I think the French Garden Mix). I have their small sprouter as well, which I love. But in this green multiple tray sprouter, I went for the mixed lentils this time. They are awesome, however I probably made too much at once. I'm not sure how long they last in the fridge.....anyone? I had so many sprouts, I needed to use them in something besides just adding them to my salads. So...I added them into my hummus and it's delicious! 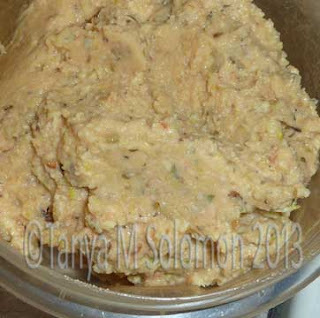 Blend all together in a food processor until the lentils are mostly broken down. Add more lemon juice if you'd like! 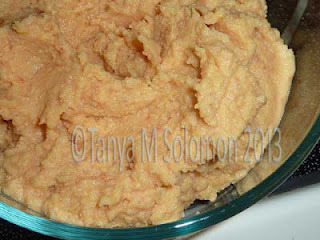 What other kinds of hummus do you like? ONE MORE DAY to enter my giveaway for a FREE magazine subscription! TEN WINNERS! AVOCADO!!! It's a good fat! Replace your lettuce with arugula, kale, spinach, or a nice red leaf lettuce. Add raw beets or roasted red peppers for sweetness and color. Beans....garbanzo (chickpeas), black beans, lima beans. Corn, tomatoes, and black beans added make for a nice Mexican style salad! Sprinkle hemp seeds or raw sunflower seeds on top. Sprouts....go crazy! 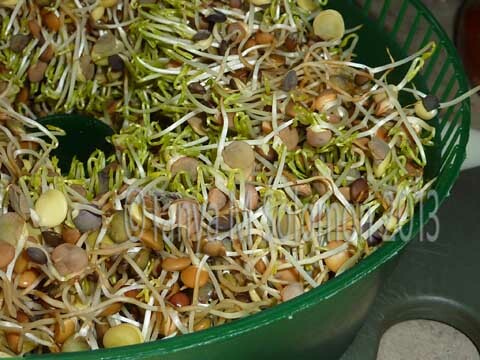 Lentil sprouts, broccoli sprouts, clover sprouts...or just plain alfalfa. Salad doesn't need to be plain. And to top it off, try a fresh new dressing! Some of my favorites are in the original Forks Over Knives book. My favorite is the OJ Hummus dressing. Or just top your salad with hummus....or guacamole! Delicious and good for you. Scoop out the avocado and put it in a blender or food processor. Add juice from 1/2 the lemon (to start) and the seasoning. Blend. Add the rest of the lemon juice if you want it more lemony. Add a little water at a time until you get your desired consistency. I like mine on the thick, yet pourable side. I've previously posted a slightly different version (but close!). You can find it on the recipes tab. You still have a few days to enter to win a FREE subscription to a magazine of your choice. Spread the word for extra entries (see post). GINGER!!! So good and good for you! I hadn't baked anything in a while, so I was flipping through some cookbooks looking for something good to make. 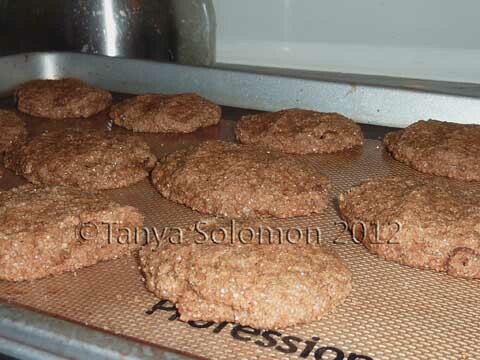 I adapted this recipe from Dreena Burton's Gingery Cookies (Let Them Eat Vegan). Combine dry ingredients in a bowl. In a separate bowl, combine wet ingredients. Add wet ingredients to dry ingredients and mix. At this point, mix in the chocolate chips, if using. Take spoonfuls of the batter and roll into a ball. Roll it in the sugar then place on parchment paper or silicone mat on a baking sheet. Flatten the cookie a bit with your hands. Repeat until all batter is used. Bake for about 11-12 minutes. Remove and let cool. Transfer to cooling rack. These cookies are VERY soft! You can try baking them a bit longer to see if they will get crispier...or let them dry on the cooling rack longer. 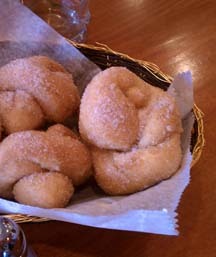 OPTION: try using less sugar...these were really sweet. 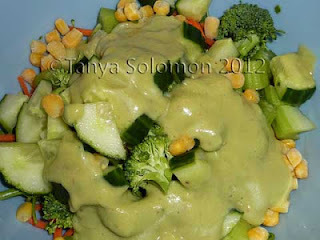 Next up......really easy avocado dressing for your salads!